[By Nick] If you thought I was all out of Chocolate Shoppe flavors to review, you'd be quite mistaken. Since they sent me 20 free pints, I still have a few flavors left to cover as well as a whole different line from them. So to move things along, let's make today's review a double post and look at both their Espresso Oreo and Ultimate Oreo flavors. 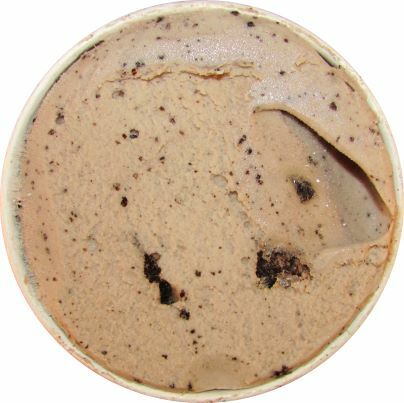 First up is Chocolate Shoppe Espresso Oreo ice cream. It’ll always surprise me why there aren’t any coffee flavored Oreos on the market. The combination works well in ice cream so it would only make sense to make an actual coffee version. The Espresso's base is on the milder side when it comes to coffee flavors. There's a strong milkiness that takes the lead and finishes off with a robust coffee finish. 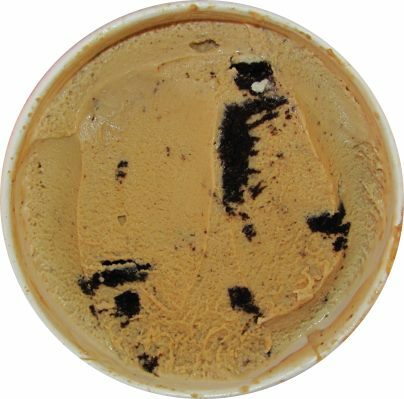 While you can't really detect any bold or bitter qualities in the coffee base, there's enough of that coming from the Oreo wafers that are well distributed throughout the pint. I know it’s hard to see them but do you notice those white dots? Chocolate Shoppe has once again thought outside of the box. Instead of using just normal crushed up Oreo wafers, they seem to have added little balls of Oreo filling as well. This is definitely a unique idea and I applaud Chocolate Shoppe for their creativity. This actually makes the base have more of a cream flavor to it as well as adds in the missing bitterness in certain bites. When everything is combined, you get one of the best cookies and cream experiences I have had. To say that with a coffee based ice cream is a big deal and now I'm excited just to see how "Ultimate" their other flavor is! 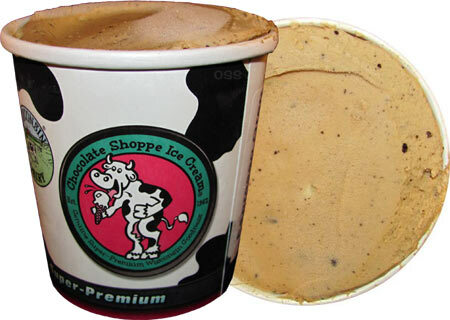 First off, just read the description for Chocolate Shoppe Ultimate Oreo ice cream: “Scrumptious Oreo crumb-based ice cream with boat-loads of real Oreos.” Now let that sink in. Oreo crumb-based ice cream… What is there really for me to say about that? This has got to be the best idea ever. Hopefully this one can live up to the huge hype I’ve built up for it ever since I saw it was in my shipment. I’m at a loss for words right now. The base actually tastes like the cream filling of an oreo. There’s a bit of cocoa flavor making the flavor profile resemble that of milk soaked oreos. If I thought the Espresso flavor had a lot of cookie wafers, this one easily exceeds that amount. They’re everywhere and come in a variety of sizes. One of the wafers almost spanned the entire circumference of the pint at one point! Just like the flavor, the wafers texture is soft like they had been dunked in milk. While there were no intact pieces of cookies with cream, the base more than makes up for it. While harder to see than in the Espresso, the little balls of oreo filling do make an appearance here as well amping things up. Putting “Ultimate” in the name of you product is pretty bold but I don’t think that does this flavor justice. This is the end all, be all of cookies and cream ice cream. This is the flavor all cookies and cream ice creams aspire to be. If you have access to this flavor, I envy you and strongly suggest you go out and get yourself some right now. Seriously, stop reading, put on some pants and get in your car! Verdict? I’m ruined when it comes to all Cookies and Cream flavors. Buy Again? No question to either… Wait, they make another one with their Zanzibar ice cream?!?! Must. Have. Now. Awesome review, Nick! I have never understood why this is the first company to include the Oreo filling for the ice cream as this has always seemed like a no-brainer. Does this company actually use the Oreo trademark? I wonder if Nabisco is getting royalties from it. I wish Chocolate Shoppe was sold in my area so I could try this. 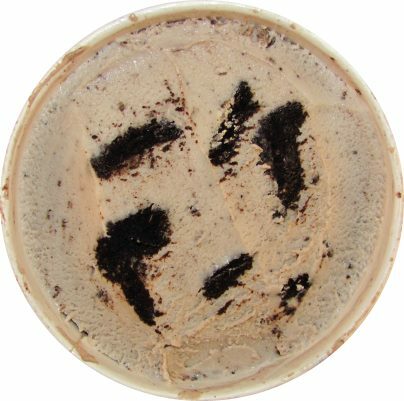 Further, I have wondered that, if Oreos goes so well with coffee flavored ice creams, why don't companies try something different by adding chocolate frosted donuts to coffee flavored ice creams? Again, this seems like a no brainer, considering coffee and donuts and coffee and chocolate go together like Oreos and milk. Can 'Chocolate Shoppe' be added to the site's search list? It is a store within 'road trip' range of where I live and it would be nice to be able to search specifically for that brand. I'm happy to have found this blog & look forward to reading the reviews. Thank you, Stride! I'm not sure if they use the trademark since I don't see t anywhere on their website. I'll look into that for you. As for the coffee and donuts, I think you don't see a chocolate glazed version is because companies are still working on being able to mix normal glazed donuts in ice cream without issue. MOre and more coffee and donuts flavors are being mass produced like Sam's Choice's for example so it's only a matter of time before we see some variation. Danielle,because no one likes to wear pants but they're necessary in purchasing ice cream! Reminds me quite a bit of many of the mudpie ice creams. While not "oreo" pieces most are chocolate cookies.